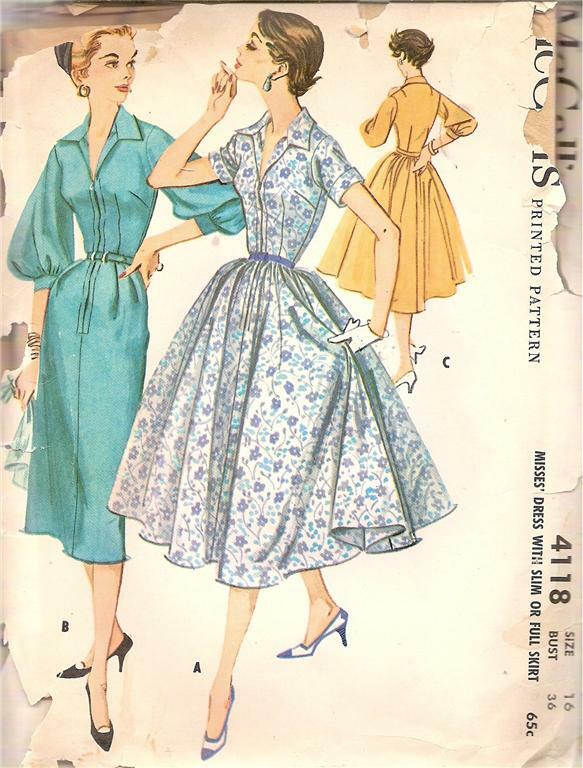 LOVE vintage patterns, and your site is always awesome for inspiration!For notions, I buy 99% of mine through an online coop, I do have a retail license too though when I need to do MAJOR purchasing! LOL! Zipperstop is on Ebay and they have everything you could ever want in zippers (Riri, rhinestone). Although I have to warn you that cotton lawn is a thin fabric and it will need to be reinforced if you want to use a rhinestone zipper, they’re pretty heavy. Flowered dress: “No really, the hair was sticking straight out of her nose!”Green dress is thinking: “She is one to talk!”YD is turned away to do a quick booger check. FD to GD: Can you believe her? Using the same pattern as us and wearing it to the same party?GD: Really, the nerve.YD: (thought bubble) They’re just jealous that I have the best assets of both their dresses: sleeves and full skirt. Sigh! I just wish you were named Several Dresses A Day. I love reading your posts! Double sigh….I agree with you KC, I wish too it was Several Dresses A Day. I love the dresse, they are so intoxicatngly feminine and pretty….I would love to own them all (planning midnight raid of Erin’s stash). If only time machines could take us back ….sigh. I love it all.